Thursday is of course named after the Norse god Thor - and it is in his honour that we have hammered together the best of the overnight tech news for your personal delectation. 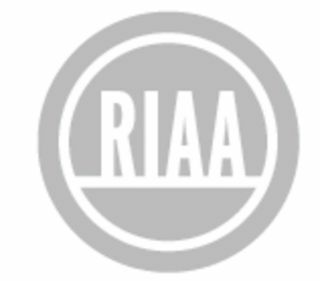 Let's start with a high-profile 'Recording Industry Of America (RIAA) versus a file sharer' case. Tanya Anderson was accused by the RIAA of sharing music over KaZaA but after counter-suing was granted an attorney's fee award from the court for her legal costs. Anderson's attorney, Lory Lybeck, had sought an award of $300,000 – including a multiplier due to his 'high risk and successful defence' – but a federal judge decided that a fairer award was $107,834. In what has to be the least surprising survey results of the summer, Stopbadware.org's 2008 report on badware hosting and the geographical origins of badware has its finger pointed firmly at China. Using Google's 'safe browsing' initiative, StopBadware tracked the IPs of 213,575 individual websites (alhough it didn't differentiate between deliberately malicious sites and infected ones) and discovered that China tops the list with 689 Badware sites per million. Yahoo has gone on the offensive by declaring the benefits of rejecing Microsoft's bid for their search business. The board has sent a letter to shareholders explaining that any partial sale would have left Yahoo without the power it needed to dictate its own future. "While Microsoft's search-only hybrid proposal may have been helpful to Microsoft, our board and management concluded that it would have had a significant adverse impact on Yahoo! strategically," the letter stated. "(It would leave) the company without the operational control of search assets and technology we view as critical to our objective of becoming a leader in the converging search and display advertising business."